Do-it-yourself Educational Robot Kit, which includes everything you need for making robots. Design, build and program your own walk of life! 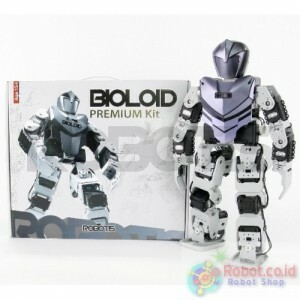 Build various robots using Bioloid which is upgraded with powerful humanoid functions and software! RoboPlus is an icon-type, C language-based, and easy-to-use software for users who do not understand computer program languages. 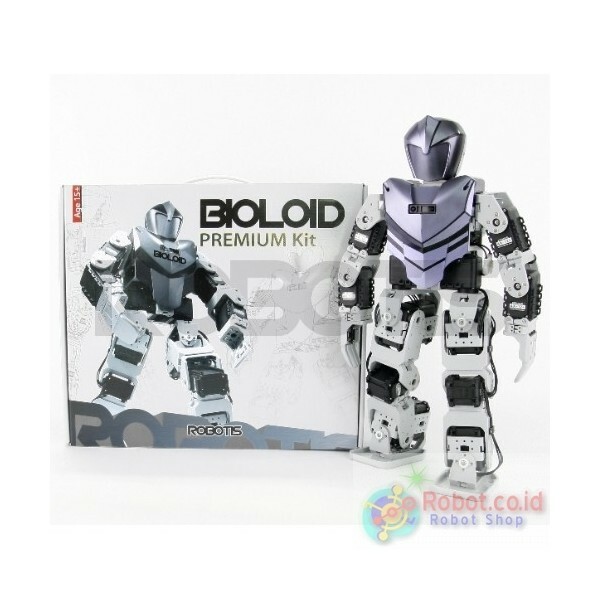 The motions and behaviors of robots can be programmed and managed with the software. 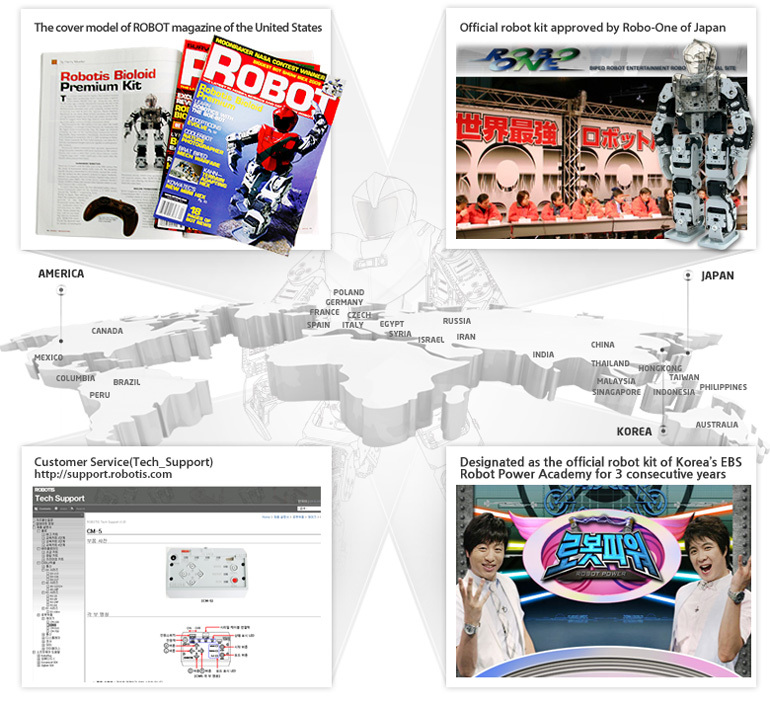 The users can learn the structure and the grammar of C language eventually while using RoboPlus. In addition, various C language program examples are provided for experts. It is the most suitable educational kit to be used for the classes and team projects in secondary schools and universities.